APPLICATION DEADLINE: November 5th, 2017 at 11:59pm. Please submit a cover letter and CV in one PDF file to Nadra Wagdy at ceo@safconcordia.ca. Interviews will be conducted on the week of November 13th. The Sustainability Action Fund (SAF) is a student fee-levy organization that funds projects which develop sustainable infrastructure, urban agriculture, community-building, and education surrounding environmental and community issues, with the long-term goal of inspiring and developing a culture of sustainability at Concordia University. 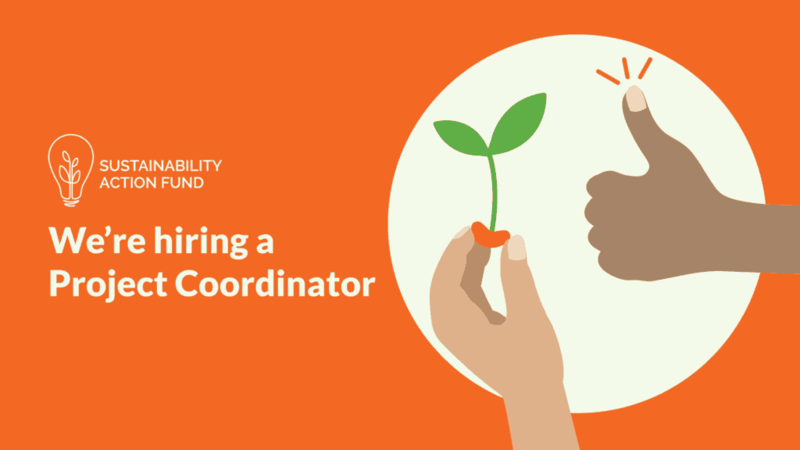 Funding approximately 30 projects a year since 2007, the fund is looking to hire a new Project Coordinator to oversee the project application process and to be a point of contact for active and potential projects. If you are passionate about our mission and enjoy overseeing projects and analyzing metrics, we look forward to your application. December 1st 2017 to November 30, 2018. This is a one-year contract, with the possibility to renew for a second year. $15 to $16 per hour, based on qualifications. Small-team and collaborative working environment. Hold fixed hours 2 days a week for project groups. Demonstrated organizational skills, with the ability to set priorities and multi-task. Experience working with a Board of Directors: ability to provide support to a board and its committees.